£150 million further down the line and Manchester United still appear more than likely to miss out on the top four, and in turn the Champions League. Jose Mourinho was meant to be the saviour that would propel United back to the summit of English football. However, those that remember Mourinho at Chelsea during his first stint will recall an entirely different man to the one that currently sits in the Old Trafford dug out. He was different not only in personality but also, most crucially, results. From 2002 to 2009 Mourinho won 17 trophies at Porto, Chelsea and Inter respectively. From 2010 to the present day, he has won just four. There are those that will argue his days at Porto, a less competitive league, have augmented that figure from the first seven years. This is not true, if you were to only count his trophies in the major European leagues then his total stands at 11 from 2004, which, is still vastly superior to his post 2010 haul. Mourinho’s diminishing trophy haul is symptomatic of a decline that affects vast majority managers in the game. For a manager to remain at the very top level of the game for more than a decade is an anomaly. Lous Van Gaal, deemed an innovator when he won the Champions League in 1995 with Ajax, resembled something of a tactical dinosaur during his stint at Manchester United. Another former Barcelona manager, Frank Rijkaard, won the Champions League in 2006, yet fast forward eleven years and he has disappeared entirely from the managerial merry go round of European football. Pep Guardiola’s current troubles at Manchester City seem to suggest coaches in Europe might just be beginning to understand how to play against his Tikki Takka brand too. Moreover, Wenger’s struggles at Arsenal in the past 12 years are well documented. Currently, only Sir Alex Ferguson bucks this trend in the game. His 26-year span in at Manchester United is entirely unique. Ferguson’s two Champions League titles came nine years apart, and United made the 2011 final, twelve years after Ferguson lifted the trophy for the first time. This is indicative of longevity at the very pinnacle of the game. Only Carlo Ancelotti’s first and last Champions League triumphs are spaced further apart, winning it first in 2003 and again in 2014. However, it will remain to be seen whether Ancelotti can replicate Ferguson’s domestic prowess, the United manager’s last Premier League title came a staggering 20 years after the first. As it stands, no other manager has been able to mirror this level of success for such a length of time. Of the current crop of managers only Mourinho and Ancelotti are positioned to be able to get close to Ferguson’s record at the top level, and both have experienced their own difficulties in recent years. Neither coach is quite as prolific a trophy hunter now as they were in the mid 2000s. Football is an ever-developing game, Mourinho heralded the change to the 4-3-3 in England, Guardiola brought Tikki Takka to Europe and now it seems the beautiful game is on the cusp of a back three revolution. The constant influx of new coaches with new ideas, or even old ideas long forgotten, makes certain that it is incredibly difficult to stay, consistently winning, at the top for over a decade. In the Premier League it would seem Jurgen Klopp, Conte and Pochettino are doing to Jose Mourinho what he did Wenger in 2004. Suddenly Mourinho is not the young dynamic coach, he is the experienced head, something Arsene Wenger had to come to terms with 13 years ago. Klopp, Conte and Pochettino are all managers in their mid to late 40s. He will have made hard work of it, but Ancelotti will most likely win the Bundesliga this season. Two of his title rivals are Ralph Hasenhuttl, 49, and the man being linked with taking Ancelotti’s job, Julian Nagelsman, only 29. 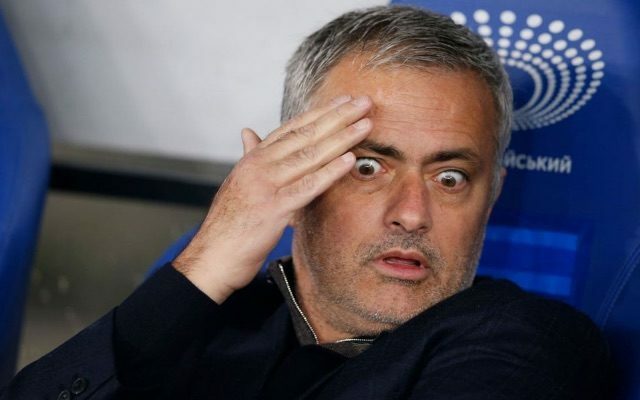 It is easy to forget that Mourinho’s heaviest defeat in the Champions League was inflicted when his side were entirely destroyed 4-1 by Jurgen Klopp’s Dortmund in 2013. This is not to say that a manager is over the hill after his 40s. Far from it, and Mourinho will most likely recover from his recent slump to win more major titles. Ancelotti will no doubt claim more too. But they will not be the trophy machines they were in the mid 2000s. The rate at which Ferguson won trophies never suffered a significant dip throughout his 26 years at Manchester United. Whilst four major trophies in seven years is a solid return, it is not at the standards set when Jose first burst onto the scene. If Mourinho did return to his early managerial career form he would elevate himself to a level only occupied by the great Sir Alex. But should no buck in the historical trend take place, then expect to see Conte, Klopp, Tuchel and Pochettino as the trophy hunters of tomorrow.